“Islam should be banned like we ban pit bulls.” You read that right. This was a Twitter post by an erstwhile candidate for the Parti Québeécois in the upcoming Quebec election. Suffice it to say he is no longer on the PQ slate. But let me repeat what he wrote: “Islam should be banned like we ban pit bulls.” Wow. It is hard to say anything about that beyond disgust that someone would (a) actually think this and (b) actually Tweet it. Talk about a career killer. There appears to be a disturbing amount of Islamophobia in the province of Quebec. This irrational fear, despite the actual presence of Islamist extremists, a topic I will return to below, is manifest in a variety of ways, ranging from ridiculous calls to ban stoning to the killing of Muslims at worship. Somewhere in the middle, lies a gaggle of self-styled patriot groups such as La Meute who claim to be standing on guard against the dangers posed by migrants, many of whom are Muslim. What is driving this hatred for Islam? That indeed is a very good question. 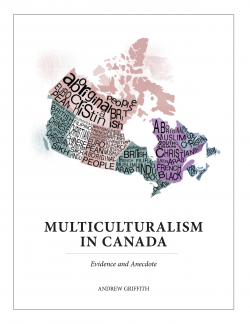 Is it the changing nature of Quebec society from centuries of white francophone Catholicism to a much more multicultural polity? Is it tied to the vestiges of separatism, a desire that appears, at least as far as all the major political parties are concerned, to be all but dead? These attitudes are not limited to Quebec but when Québécois francophones hold and pronounce them they do seem to get more attention in Canadian media. This is perhaps a shortcoming of how we recognize and report what is ‘newsworthy’ in this country. We could dismiss all of this as hateful discrimination and move on, much the same as everyone seems to have a boorish relative who says stupid things, but gets away with them because no one wants to cause a family rift by challenging them. This, of course, is not an optimal response: hatred directed at any one group should always be called out for what it is in view of what is sometimes called the ‘broken window theory’: i.e. the notion that if you ignore early signs of disorder they will only get worse. I am not drawing a direct line between Islamophobic rhetoric and the shooting at the Québec City mosque in January 2017 but it is nonetheless important to reject racism in all its forms. Those who hold these views will often point to terrorism as justification for their fears and demands for a cap on immigration. Here they both are sadly mistaken and yet have a point. Even a cursory glance at terrorism in Canada over the past few decades demonstrates quite clearly that not only is violent extremism thankfully a rarity in our country but the single largest successful attack was actually perpetrated against Muslims, not by them—Alexandre Bissonnette’s rampage in 2017. At the same time, there was an attack in Quebec by a Muslim in 2014, this one by Martin Couture-Rouleau, a convert to Islam albeit originally a Québécois de souche. There have also been other Quebec Muslims who have left to join terrorist groups abroad and some may return one day to carry out violence back home. So yes, the fear is real even if it is minimally supported by data. The problem remains that even if there are violently radicalized Quebec Muslims they are but a handful and outweighed by tens of thousands of others. It is simply wrong to paint all with the same brush just because a few engage in violence. Furthermore, by engaging in discriminatory practices against an entire community for the sins of a tiny part, it forces that majority to circle the wagons out of a sense of self protection. This has serious implications for any collaboration and cooperation between Quebec Muslims and those agencies tasked with investigating real threats, such as CSIS and the RCMP. Racism is racism and has no part in Canada. Let’s not bury our heads in the sand over this. Source: What’s with Islamophobia in Quebec?